The Kunekune pig (pronounced "cooney cooney") comes from New Zealand and was originally kept by the native Maori people. In the late 1970's a breeding program for the Kunekune pig was developed by wildlife park owners, Michael Willis and John Simister. With so few animals left the Kunekune pig was nearly gone. Now they can be found in Europe, the US, and Canada! They are extremely outgoing and love human interaction. They are a grazing pig and can finish out on grass alone. 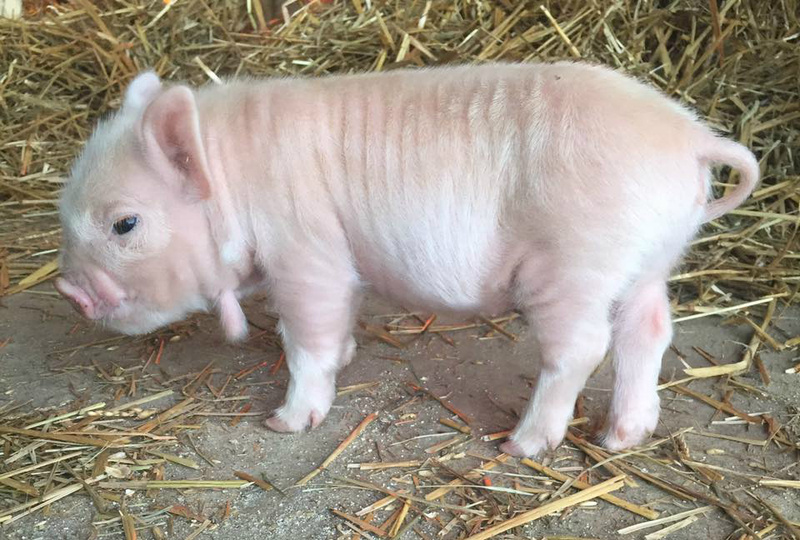 Kunekunes are a smaller breed of swine that make them perfect for just about any size farm. Kunekune Pigs are relatively small in size, often only 24 inches tall, with boars rarely reaching over 300 pounds. Bree (LGD) and Camille (Pug) with our Kunekune herd. Gala my first Kunekune sow, with some of her piglets.